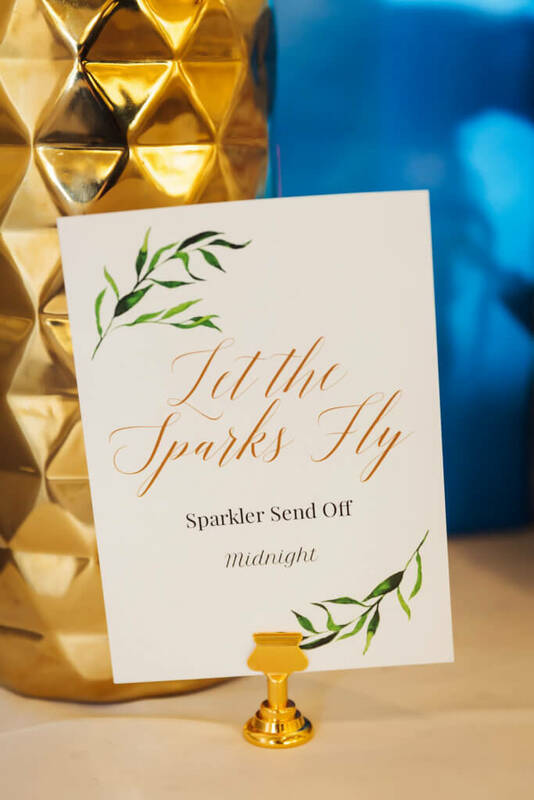 Our Special Moments Event Planning team loved working with Paula and David. 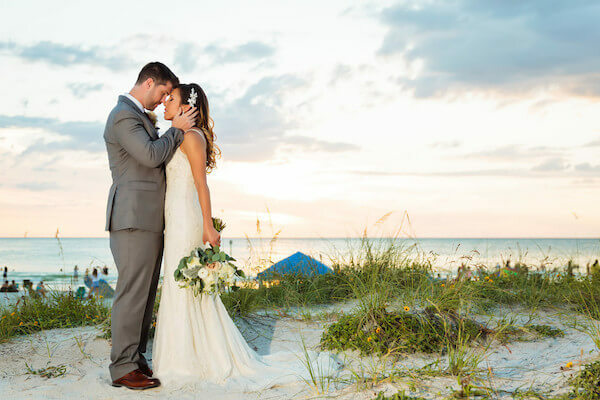 Their Clearwater Beach wedding was so special. 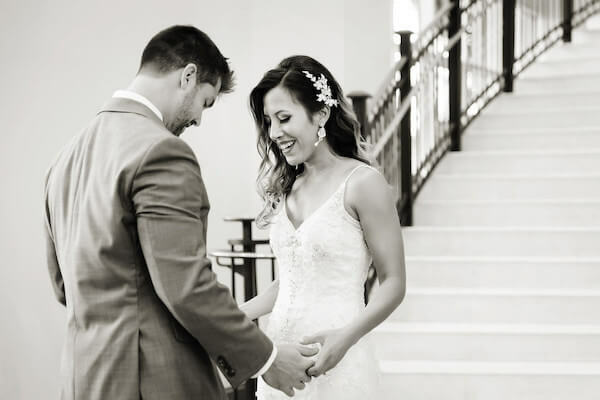 The couple is super sweet and has an amazing love of life, and the way they look at each other is incredible. 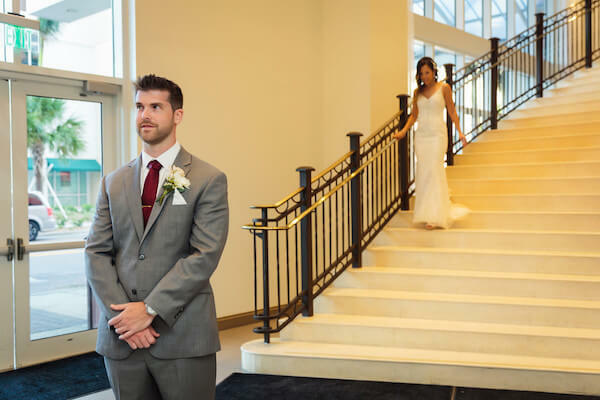 Every portion of this wedding was filled with their personality. 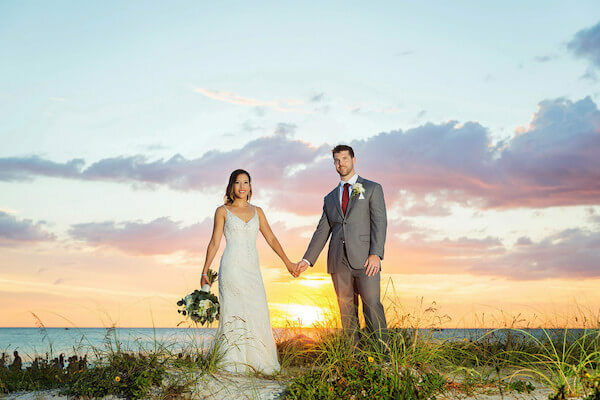 Paula wore a simple, elegant Maggie Sottero gown with a soft v neckline, spaghetti straps, and a sweep train. 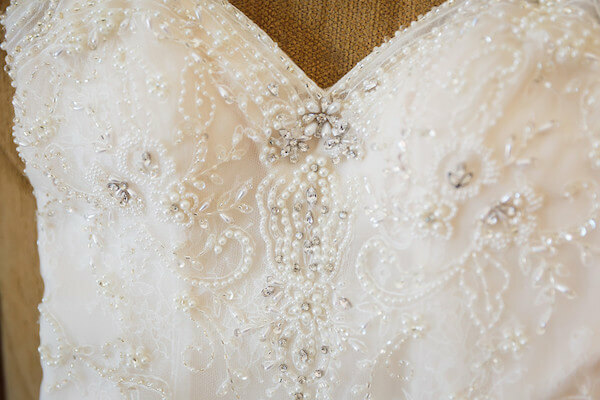 The bodice was adorned with pearls and crystals that shimmered in the light. 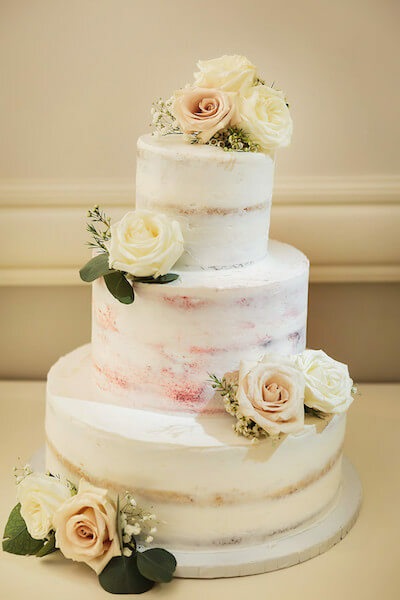 She chose to wear her hair down and to one side accented with a crystal embellished floral clip, and carried a bridal bouquet in soft shades of white cream and pale blush. 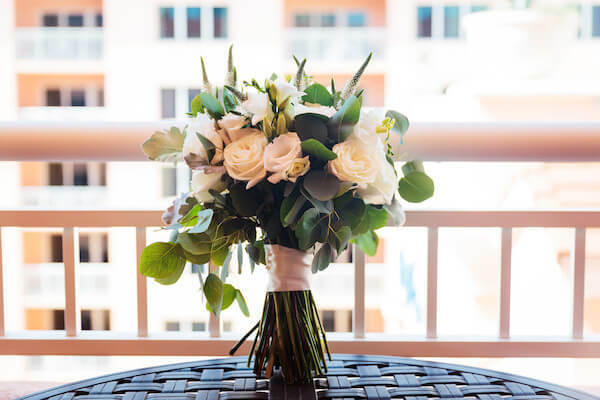 The bouquet of white and antique pink cottage roses, white lisianthus, veronica, and white freesia was a feast of texture and scents. David looked handsome in his grey suit with burgundy necktie. 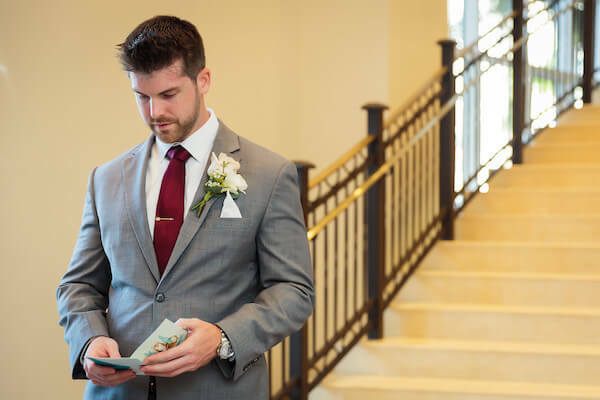 He waited patiently, reading a note from Paula, as she came down the staircase of the Hyatt Clearwater for their First Look. 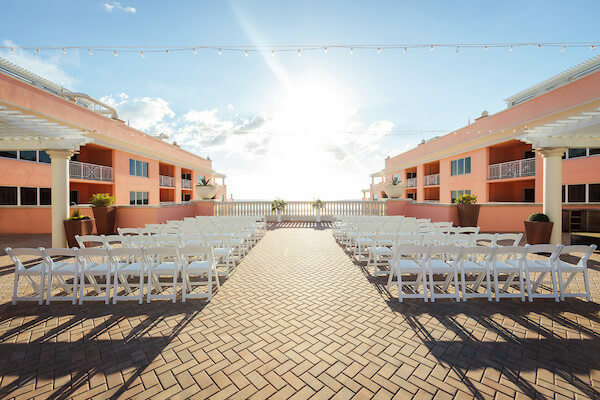 Their wedding ceremony on the Hyatt’s rooftop was set with white garden chairs and two elegant oversized white floral arrangements; allowing Clearwater Beach and the Gulf of Mexico to be the backdrop for their ceremony. 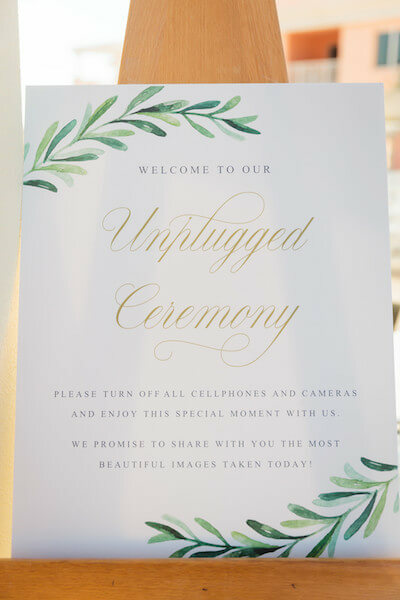 They also asked guests to unplug and enjoy the moment. David’s father, Robert, officiated the wedding ceremony and he was so emotional, what a privilege for a father! 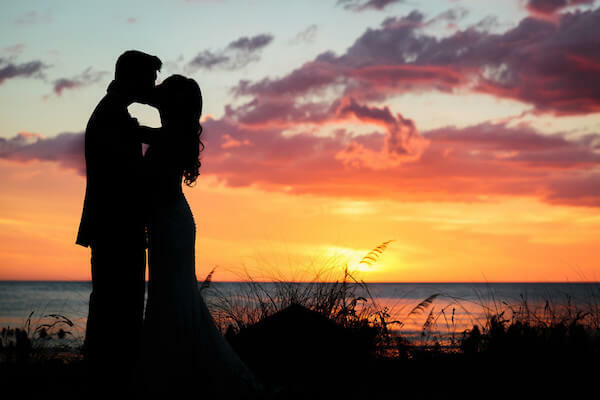 It was beautiful to watch as they incorporated a Celtic Handfasting into their wedding ceremony; as they both have Irish roots in their families. 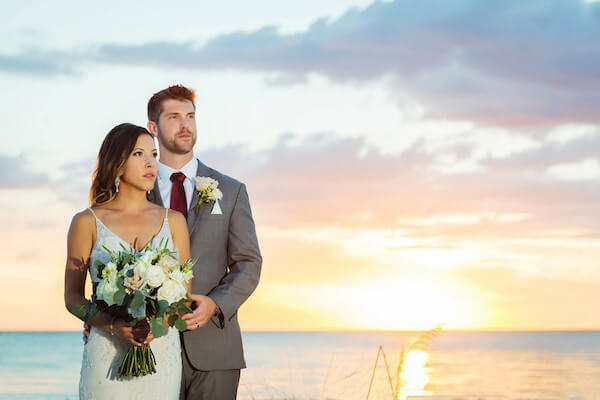 Paula and David spent time together on Clearwater Beach taking full advantage of the sunset over the Gulf of Mexico before heading inside for an evening of dinner and dancing. 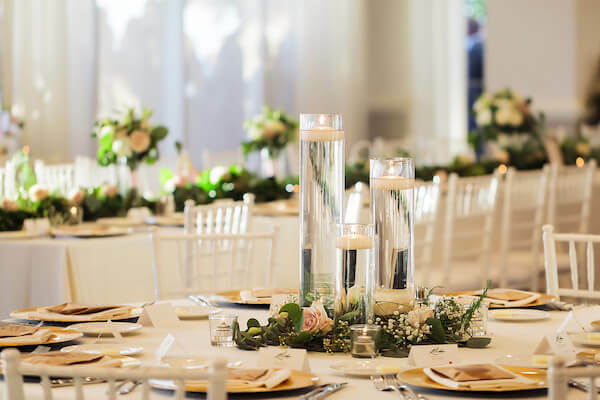 The reception was set with white linen, white Chiavari chairs, floating candles in clear glass cylinders accented with gold charger plates. 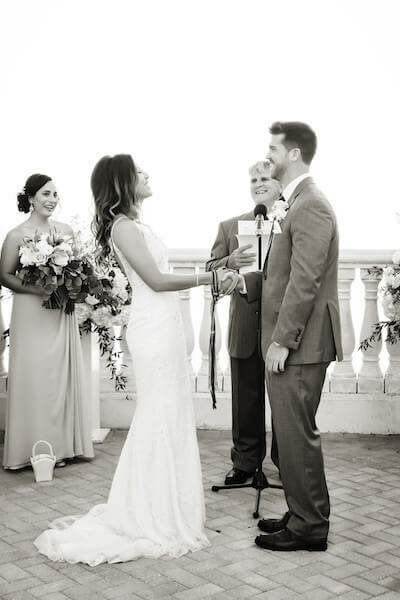 The bride jumped in with both feet to participate in a tinikling dance, a traditional Philippine folk dance. 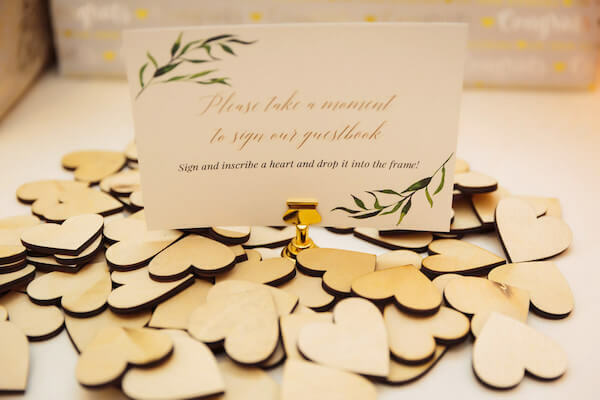 Guests wrote sweet messages on small wooden hearts to be placed into a frame and sent the couple off with sparklers at midnight. 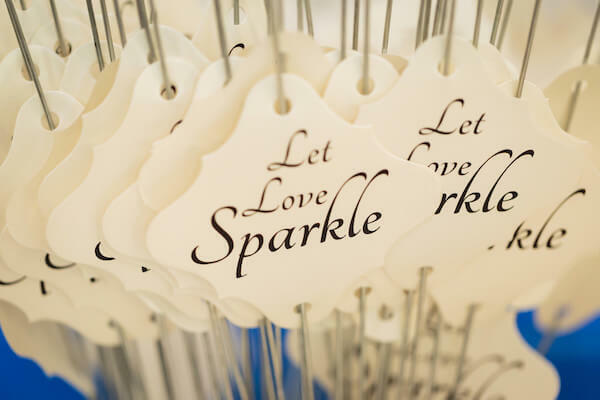 Thank you to all of the wedding professionals who made their wedding day so amazing! 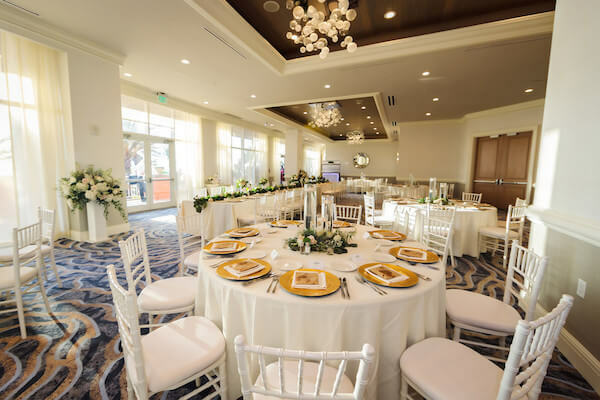 DJ: Grant Hemond & Associates, Inc.